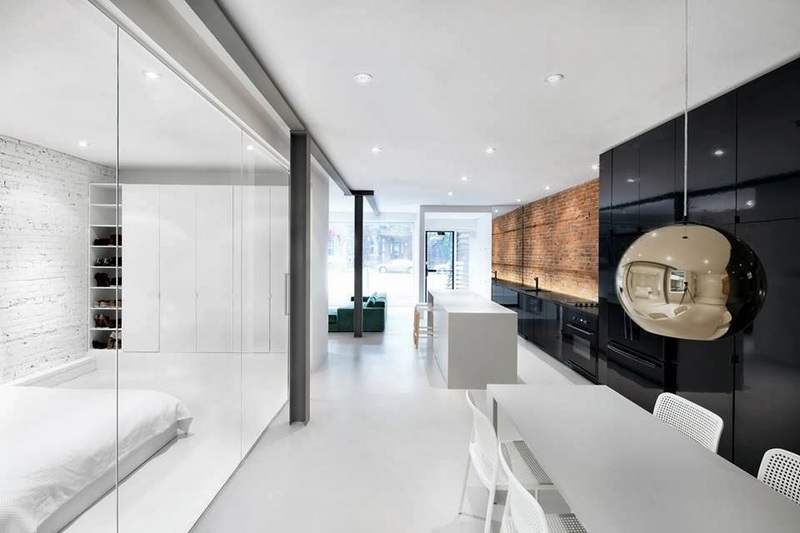 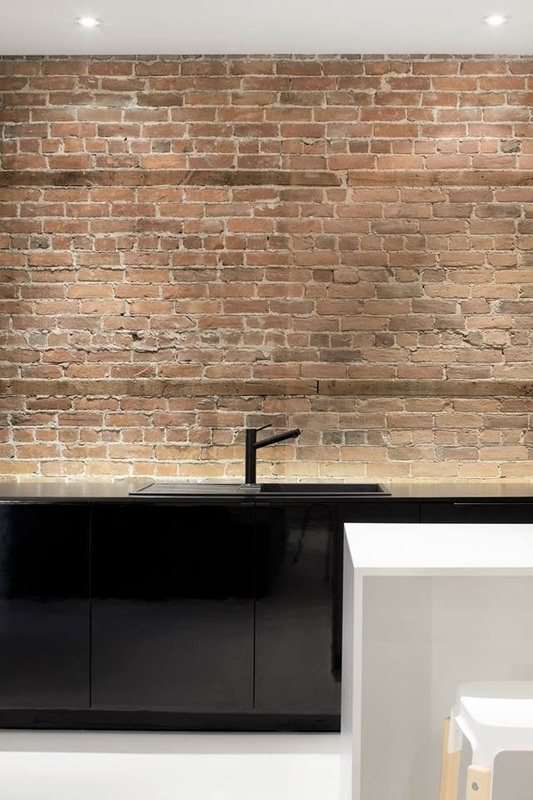 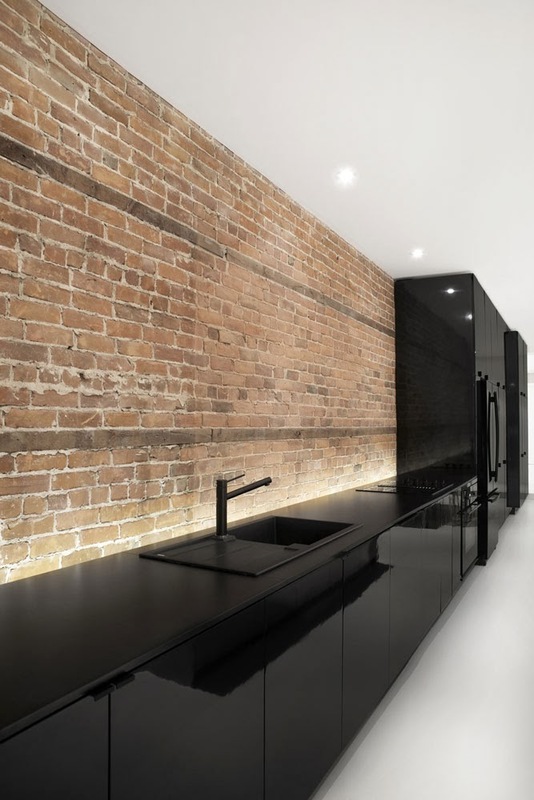 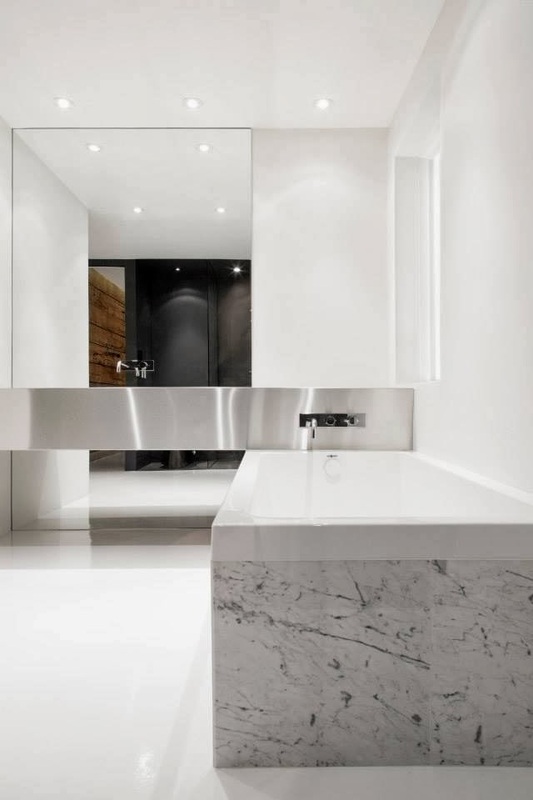 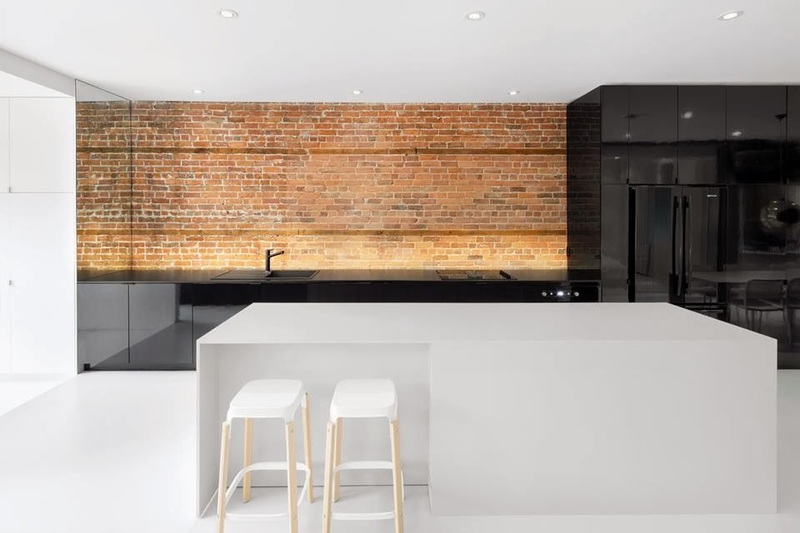 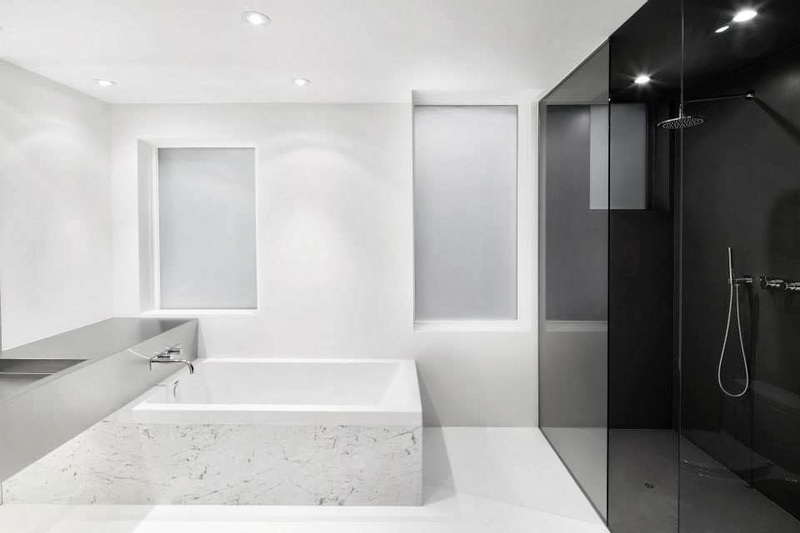 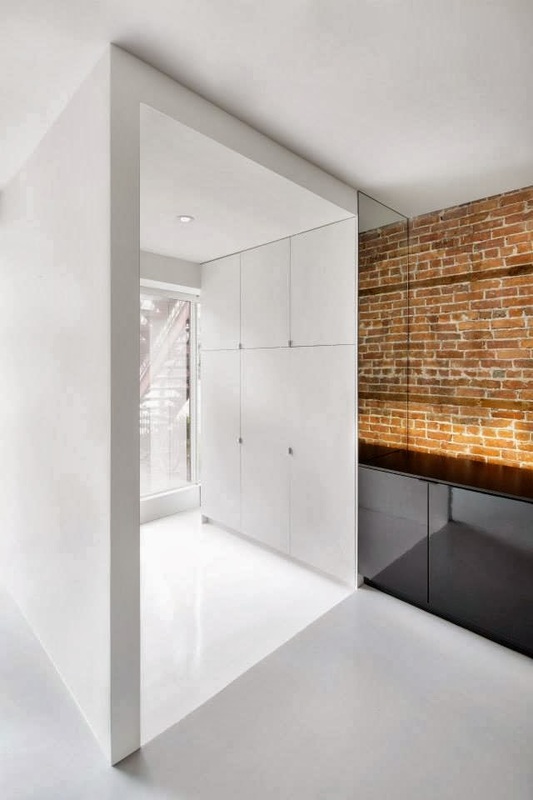 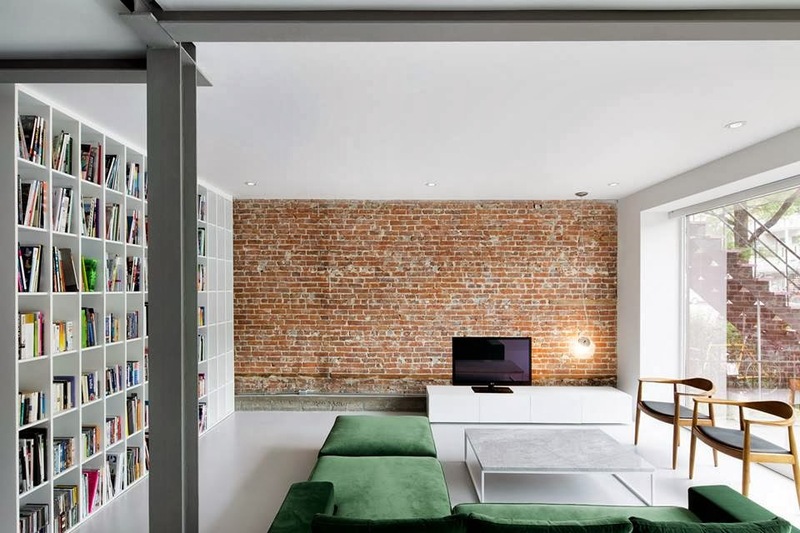 Located on the ground floor of a triplex in Montreal, Canada, this renovated apartment by architect Anne Sophie Goneau features exposed brick walls that contrast with white partitions and lacquered surfaces. 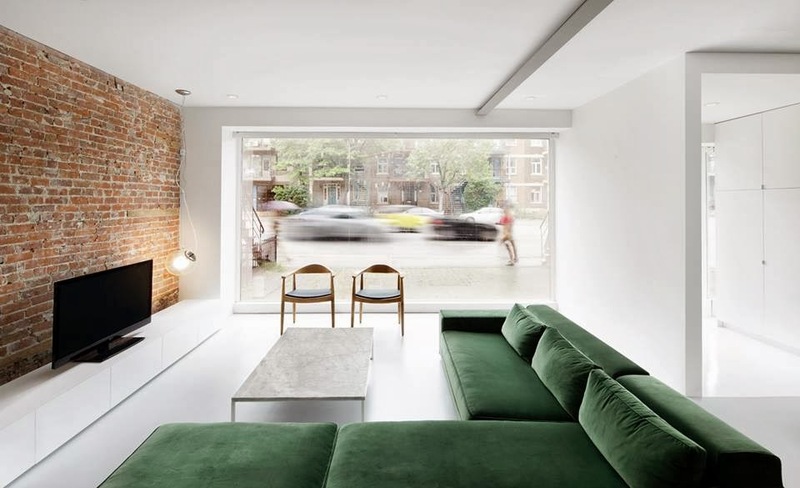 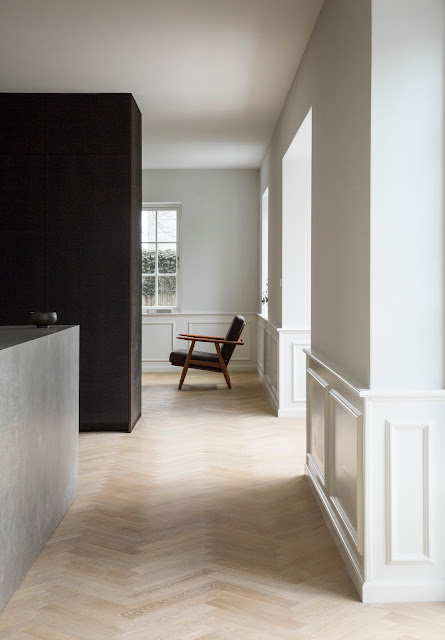 The discreet intervention uses raw materials of the original structure on a new open plan layout that combines a new glazed facade, a bedroom area, a large bookshelf and an open kitchen that runs along one side of the space. 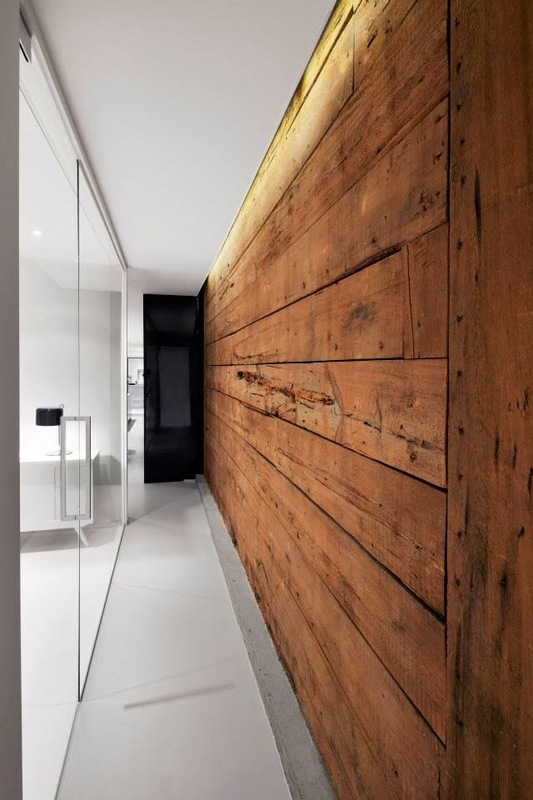 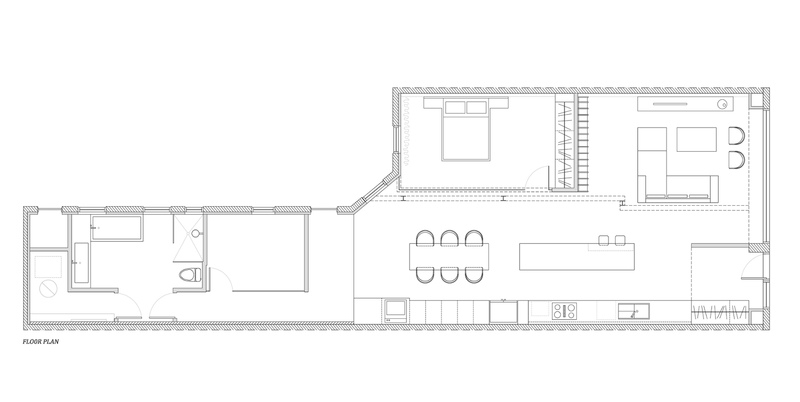 A timber lined corridor connects with a second bedroom and a bathroom at the rear of the condo.